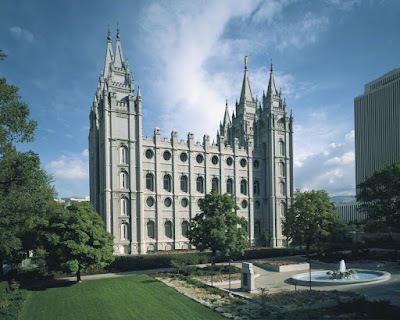 What You'll Need: scriptures, GAK 520/GAB 136: Gordon B. Hinckley, GAK 221: The Ten Lepers, GAK 502: Salt Lake Temple, GAK 617 OR GAK 402/GAB 89: Search the Scriptures, GAK 608: Christ and Children from around the World, GAK 605: Young Boy Praying, printed flip book, scissors, hole punch, yarn or binder ring. If you want to read the Six Be's talk in its entirety click here. Quote: Gordon B. Hinckley - Bless [us] that [we] may walk acceptably before Thee as Thy cherished sons and daughters. Each [of us] is Thy child with capacity to do great and noble things. 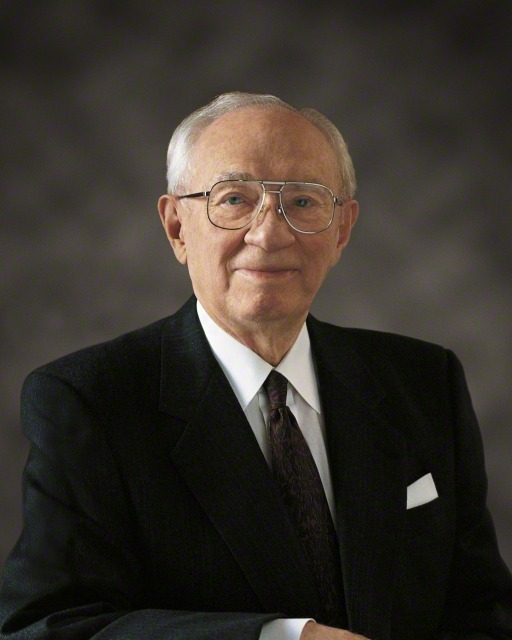 You may remember Gordon B. Hinckley. He was our Prophet just a few years back. 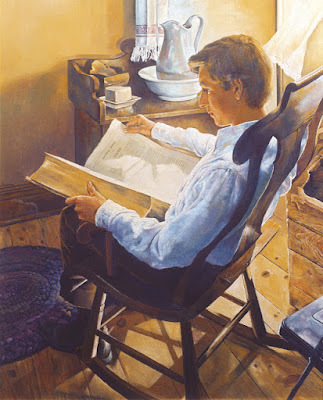 When Gordon B. Hinckley was the Prophet of the church he gave many wonderful talks and taught many lessons. 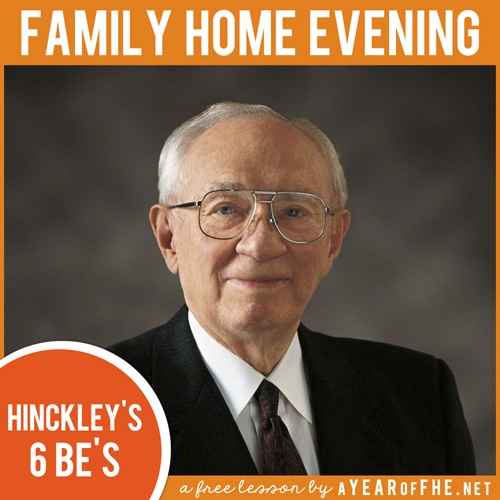 During one General Conference he gave a very special talk where that we call The Six Be's. This talk has six lessons that the Lord wants us to practice and become as we go through our lives. Tonight we are going to talk about three of those Six Be's. As you teach each Principle, display the appropriate wordstrip (included in Lesson download). We should always be thankful for the wonderful blessings which we have. We should not complain. We can remember the blessings we have instead of thinking about what we don't have. Say thank you to your mother and your father. Say thank you to your friends. Say thank you to your teachers. Say thank you to everyone who does you a favor or helps you in any way. And especially remember to thank Heavenly Father. 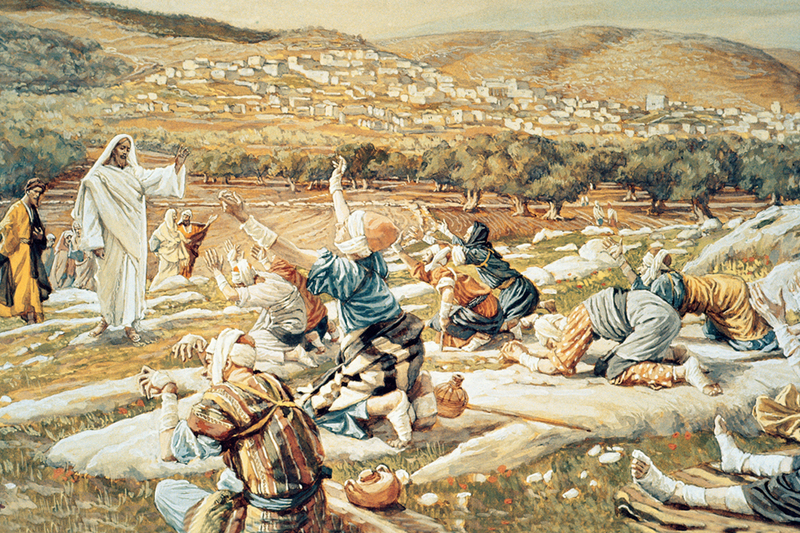 When Jesus Christ was on the earth, ten men came to Him. All of the men had a terrible sickness. 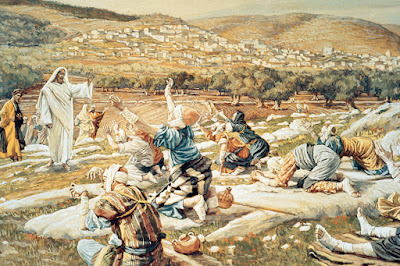 Jesus healed all of the ten men. The first nine were so excited they ran into town to tell their friends. Only one healed man turned back to thank Jesus for healing him. Jesus wants us to be like the man who was thankful. 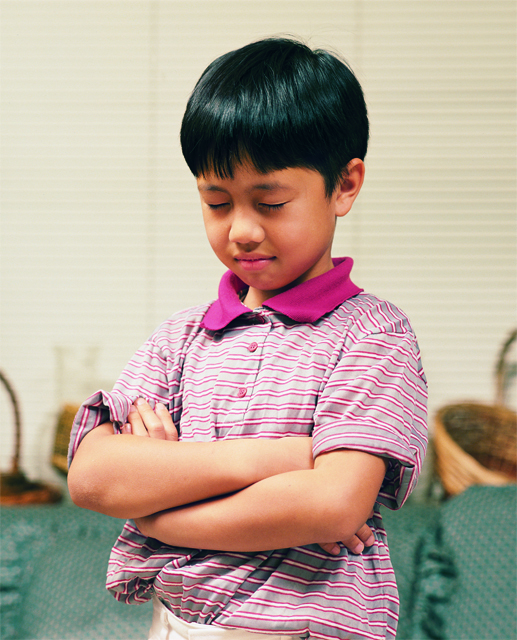 Heavenly father wants us to be good in school. Sometimes school is hard and some of us learn things in different ways than others...making learning more difficult. But Heavenly father wants us to try our very best in school. He wants boys to learn as much as they can so when they grow up they can provide for their family. He wants girls to learn as much as they can so when they grow up they can teach their children or get as job if their family needs it. We should learn outside of school by reading good books and doing other things that help us learn. Our words should be clean. We should not use bad words or say heavenly father's name in a joke. We should only read good books and watch good TV shows. We should be very careful about the things we see on the computer because some people put bad things on there for us to find. Make sure you always have a Mom or Dad with you when you use the computer. Heavenly Father has said our bodies are very special, like a Temple. We should keep our bodies clean by obeying the Word of Wisdom, by dressing modestly and by taking regular baths or showers. It is important to treat our bodies nicely. We are members of Heavenly Father's true church. That means we know the difference between right and wrong. We know the things we can do to return to live with our Heavenly Father. We can read the scriptures, listen to General Conference, learn in church classes and obey our parents. We know how to choose the right so we must stay true to what we know. We should make correct choices and be good members of Jesus Christ's church. We must always do our best to do what is right. Being humble means we know that we need help. All of us, even Mommy and Daddy, need help from each other and from Heavenly Father. 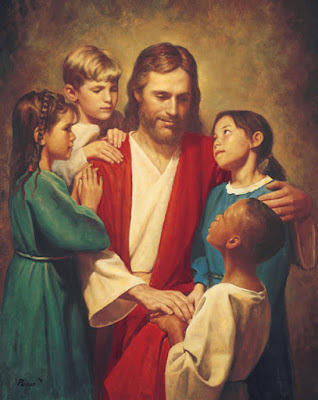 We should listen and follow the Prophets' words and do what Heavenly father asks of us, even if it seems hard. The scriptures say, “Be thou humble; and the Lord thy God shall lead thee by the hand, and give thee answer to thy prayers” (D&C 112:10). That means if we are humble and obedient, then the Lord will lead us and answer our prayers. There is nothing better than that. We should be respectful and listen to our church leaders. This means our Bishop, primary/mutual leaders and sunday school teachers. They love us and want us to be happy. We should follow their words as best we can. We all help and guidance from Heavenly Father. He is the only person who knows everything. He knows which way we should go, what can make us happy and what is best for our lives. We should talk to him all the time through prayer. He is our father and wants to hear from us. He wants to help us. When we pray He hears our prayers. He answers—not always as we might wish He would answer, but there is no question that He answers our prayers. Bear your testimony about each of these principles. Share blessings you have received by following these commandments and always doing your best. - thread onto binder ring or secure with yarn. - print onto card stock. - cut out and punch hole in top left corner of each card. 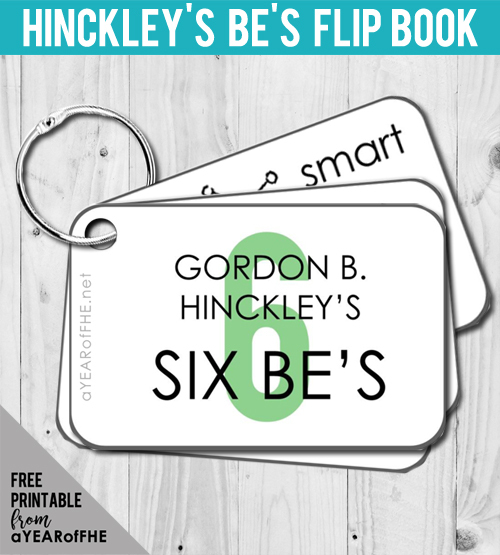 - have a small prize for anyone at the end of two weeks who has all Six Be's memorized. as always, thanks so much! these lessons are priceless! Thank you!!! We have been using your lessons for weeks, great job! This was perfect, I was trying to find something for the six be's I was so excited to find this, Thanks!! Fun, simple and very easy to use. Thank you for taking the time to do this! My family will love this! We just had a preschool party about bees, so things are already buzzing around here. I think this lesson will be great this week. Thanks! This looks wonderful! 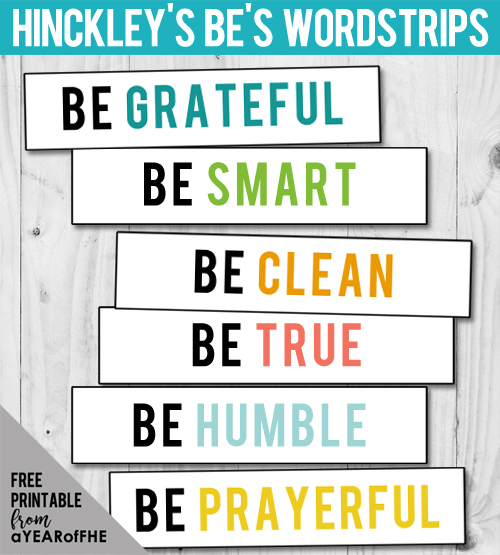 I think I will be using one "Be" each week (my young children have short attention spans), and the card book will really tie it all together for the kids in their minds. Thank you so much! We live in Morocco and are having a peace corp couple over for FHE, this will be a great lesson to share and also for my 4 little ones, thank you so much, i love your site!!! This is always my favorite site to come to to find FHE lessons. My 3 year old picked the topic tonight and this is what she chose. Thank you so much for the time you spent creating these! Thank you for helping our family maintain our FHE goals. Your work is much appreciated! Thank you for all of the F.h.e. lessons and adorable printouts. I love your site! !